On the heels of my post about the most popular or familiar superheroes, I thought I’d tackle a similar one about Western animation. Specifically, what are the most famous or popular Western animated cartoons nowadays? Given the current fractured state of media (per streaming, multiple cable channels, DVDs, etc.) and changes in animation over the past few decades, it seems like an interesting question. My criteria is, if I showed pictures of these characters to A) a group of grade-schoolers, B) my coworkers, and C) a group of older/elderly adults, how many could name or recognize the characters without prompting? The Disney classic shorts include such classic characters as Mickey Mouse, Minnie Mouse, Donald Duck, Goofy, Pluto, Chip and Dale, and others. Mickey is hands down the world’s most famous cartoon character. He’s the logo and signature mascot for Disney, and is heavily marketed/prominent everywhere. 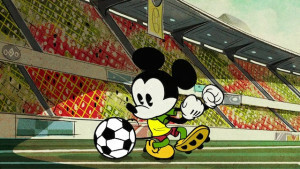 Mickey also continues to appear in new material to this day (such as the amusing series of Disney Channel shorts). He’s even been a major influence on American copyright laws (for the worse). That said, Donald’s also quite popular and recognizable as a character, with a large amount of spinoff material: Uncle Scrooge, “The Three Caballeros,” “DuckTales,” multiple prominent comics in Europe, etc. 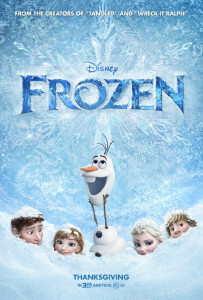 The Disney animated feature film canon consists of all the films that’re officially considered Walt Disney Studios theatrical animated films (versus Pixar, direct-to-video or TV-movie material, etc.). I’d imagine it’d be difficult to find someone who hasn’t seen or heard of at least one of these films. Even the most cynical-minded parodies on Adult Swim, “Saturday Night Live,” etc. assume the audience is familiar with these films. The Looney Tunes’ star has dimmed a bit in recent years, for various reasons. Still, nearly all adults recognize Bugs Bunny, Daffy Duck, Porky Pig, and the Road Runner. Whether kids recognize them might be more debatable. However, the characters have appeared in various Cartoon Network spin-offs in the 2010s. So, I’ve opted to place them here. Still, as TV Tropes notes, the impact of Looney Tunes on Western animated cartoons is tremendous. I’ve written before about Scooby-Doo’s fame. However, I think he’s reached the point where he’s near-universally recognizable. 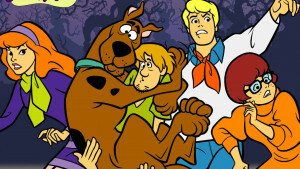 President Obama had a Scooby doll in a Christmas photo; there’s plenty of merchandising (Scooby now has a US postage stamp); and the Mystery, Inc. gang still frequently air in various versions on TV. Even the cliches of the show have become famous; hence the countless parodies. Also, the 1970s saw a lot of clones and pastiches (usually by Hanna-Barbera themselves) of the gang from Coolsville. 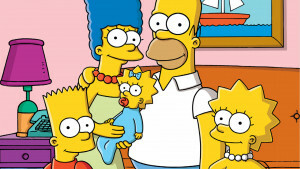 I’ve also written before about how “The Simpsons” has gone from being the edgiest show on the block to calcified and middle-aged. Still, it’s the most famous cartoon from the 1990s, and made major changes to animation’s landscape. It’s also been on the air long enough (almost 30 years), and is rerun/merchandised heavily enough, that I assume nearly everyone would recognize Homer, Bart, and company. President Bush even mentioned them in a political speech, feeling Americans should be “more like the Waltons” (a popular 70s drama about a Depression-era family). Below are some “honorable mentions.” These are characters that have risen or fallen in prominence, but aren’t at the ubiquitous levels above, and thus are “merely” very well known. The character’s familiarity might depend more than the ones above on age/demographics, i.e. a stronger likelihood kids or older people won’t recognize them. 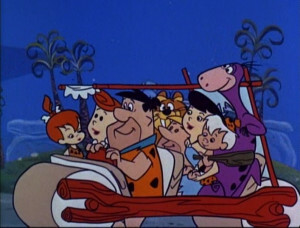 Fred, Barney, Betty, and Wilma were probably Hanna-Barbera’s most famous made-for-TV characters before the 90s. Since then, however, there’s been both a lack of new “Flintstones” material or reruns on TV (save Boomerang) and a huge rise in popularity of Scooby-Doo. Since his 1999 debut, SpongeBob has become Nickelodeon’s most popular program, eclipsing everything else on the channel. A whole generation’s grown up on constant airings at this point. However, there’s plenty of adults who also enjoy the show, or at least have heard of it. It doesn’t look like SpongeBob’s popularity is going to wane anytime soon. “Toy Story” was the first major CGI animated film, and sicne its 1995 debut, it’s left a big mark on the animation landscape. Its successor films have also been met with massive acclaim and box office figures. These days, Pixar’s films are as popular as the official Disney animated canon films, which are also CGI animated these days. That said, like other classic theatrical cartoons (that aren’t Disney), they’ve seen their prominence fall off in recent years. A series of made-for-video movies have been met with mixed reception, as have several recent TV spinoffs. There’s also not much “Tom and Jerry” merchandise nowadays; even DC Comics publishes a “Looney Tunes” comic book. Note the above list can and will likely change with time. How do you feel about these choices? Did I miss any particular Western animated cartoons? Let me know in the comments. The next cartoon crossover: Jonny Quest meets...Tom and Jerry? Previous Post:What are some Tumblr blogging alternatives?